Lit Newsletter 10/29/12 Rocky Event on Nov 2! Join us this Friday, November 2, from 6-9pm in Lit as we feature Rocky Patel Cigars and Evan Williams Single Barrel Vintage 2002 Bourbon. We'll be joined by Rocky's Rob Birsinger as we introduce their newest blend, the Edge Habano - an all Nicaraguan blend featuring an aged Habano seed wrapper. As always, we'll have plenty of great deals and prizes to give away. See you there! - Alec Bradley Fine & Rare: This extremely limited cigar (20,000 cigars total) features a 10 nation blend, the most complex blend in the industry. Each cigar band is personally signed by owner Alan Rubin. - La Flor Dominicana Limitado V: Limited to only 2,000 boxes, this blend is extremely full bodied. 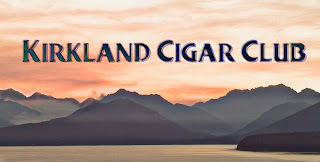 Our go-to blog for cigar news, halfwheel, did a great review which you can read here. 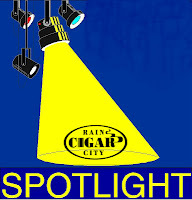 -262 Revere: 262 is one of our favorite boutique cigar companies. Their latest blend, Revere, is a sweet, medium to full bodied Nicaraguan puro that does not disappoint. We have a 262 event scheduled for November 29, but in the meantime, you can try the Revere or the milder Ideology blend at Lit now! 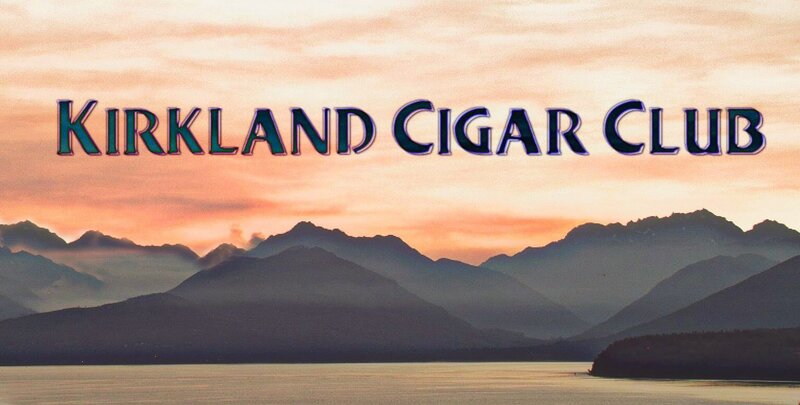 We are overwhelmed by the positive feedback we've received in the wake of our second Washington Cigar & Spirits Festival. We appreciate all the kind word and are happy to share these great blogs and photo albums of the event with you. We look forward to another exciting WCSF in 2013! Winetrendsetter.com did a great post with some excellent photos which you can see here. Generally speaking, it's pretty rare to see me smoke a cigar during the week, I'm pretty good about only lighting-up on weekends, but occasionally I'll break this rule if something special comes along, like a Montecristo No.2 Pyramid (Cuba) that's been perfectly humidified since 2005. Yep, my neighbor called and told me to come on down for cigars and booze. I know, I know, school night, but how could I say "no"!? Yep, if you're going to bend the rules a little bit, might as well do it right! Anyway, a few weeks back, my friends from Brazil were vacationing with us and they were nice enough to bring me a few Cuban cigars, which I've smoked already, but they also brought me a couple cigars that are "Made in Brazil." I had a chance to smoke both of these Churchill size cigars over the weekend. Monte Pascoal - Meh...it was OK. Not all that smooth and really no wow-factor to it. To be honest, I'm not a real big fan of the Mata Fina leaf. I know it's kind of a trendy leaf these days, but this one just didn't hit it off for me. Are you going to the 10-7 Bond Night Event this weekend? My lovely wife and I will see you there! Bottom line, I liked it! Delicious medium to full-bodied cigar, maybe more full-bodied, but not out of my comfort zone. 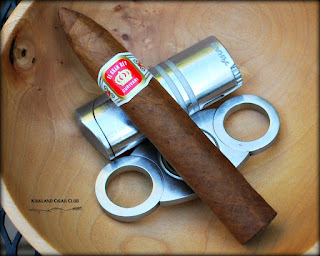 The cigar itself is beautifully wrapper, good color, great feel, but more importantly, an amazing cigar aroma. In my opinion, this is what a fine cigar should smell like. Delicious! Anyway, since its taste is a little more full-bodied, I like smoking these after dinner with a glass of Zaya or Zacapa rum, maybe a Courvoisier cognac, something to add to the peppery taste. I've tried it with Scotch and Bourbon, which aren't bad of course, but I think something sweeter works better. Heck, what do I know? So how does it compare with my go-to cigars? Toraño Master and Oliva Serie G.
Big difference. 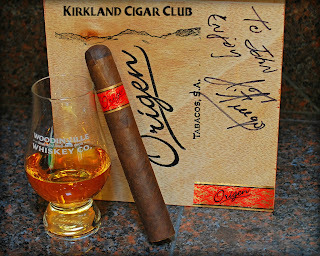 The Master and the Serie G I could smoke all day long, they're milder and sweeter, but when you want something a little more complex, fuller flavor, the Origen is an excellent choice. Thank God too, I've got a box of them! 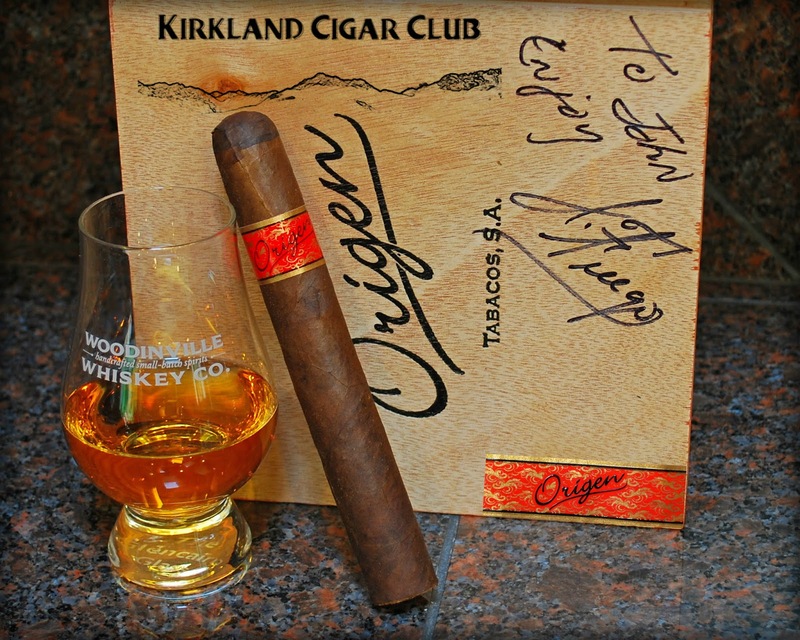 If you haven't tried an Origen yet, you're missing out on a really good smoke. Give it a try, I think you'll like it! 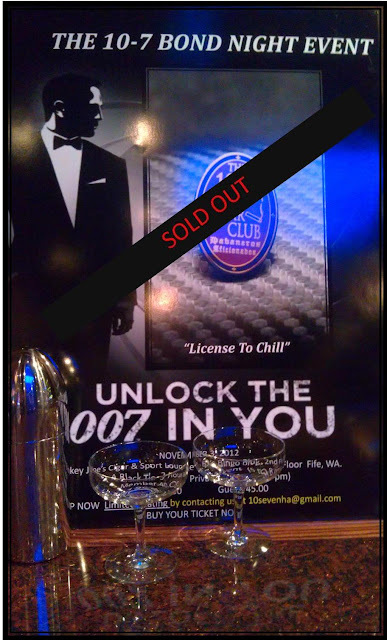 Side note: The 007 Bond Event that the 10-7 Habaneros Club is putting on is already sold out. My lovely wife and I will be there dressed to the hilt! Should be a great time! I'll let you know how it goes. Stay tuned! Cancel the peppery taste - I've smoked a few more of these over the weekend and they're actually much smoother, less peppery, than I had originally thought. I love 'em! Revolution is in the air! Or at least it will be once you light up one of the new Te-Amo REVOLUTION cigars from Altadis. 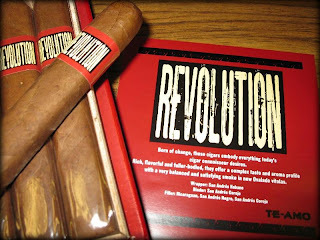 Reviews of Revolution mention a cigar with a great draw that is full-bodied yet smooth. Noted flavors of cedar, wood, grass and light spices with some sweet earthiness. Be prepared for a nice nicotine buzz! 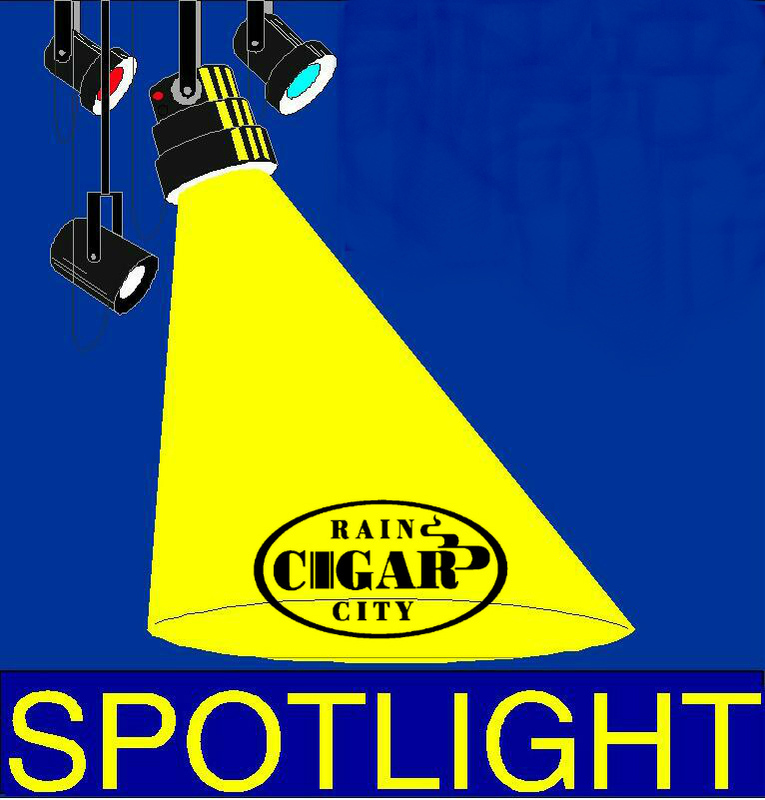 Steve Martin of Altadis will be here during this mini-event to answer your questions and help us shine the spotlight on the new Te-Amo Revolution cigars. Start using our mobile app to take advantage of the event deals in a slightly revolutionary fashion. 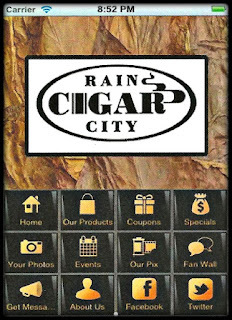 Download our mobile app onto your smartphone or mobile device and when you come in during the event hours, show it to us and/or check in and you will qualify for the deals! Don't have a mobile device? Not to worry, just bring in your cell phone, take a photo of the special notice and you get the deals too! 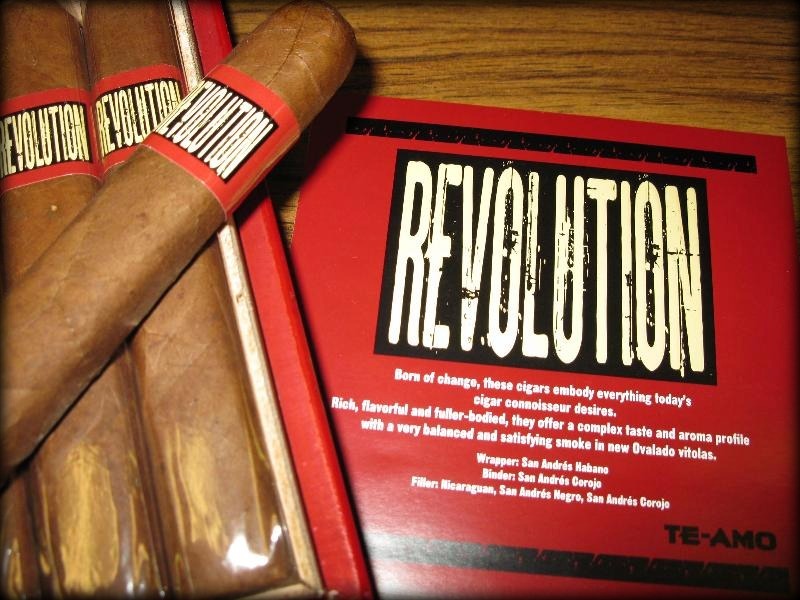 Buy three Revolution cigars and Steve will hand you another one! Buy a box of Revolution and Steve will hand you 5 more plus a Revolution hat! Lit Newsletter 10/15/12 Another Great WCSF! 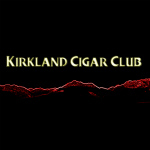 A special thank you to everyone who attended our 2nd Annual Washington Cigar & Spirits Festival on Saturday. We had a great time putting this event together for you and hope that you enjoyed it as much as we did! If you'd like to view and share photos from the event, including the Woodford Reserve photo booth, check out our Facebook page by clicking this link. If you are a Facebook user, you can tag yourself in the pictures. 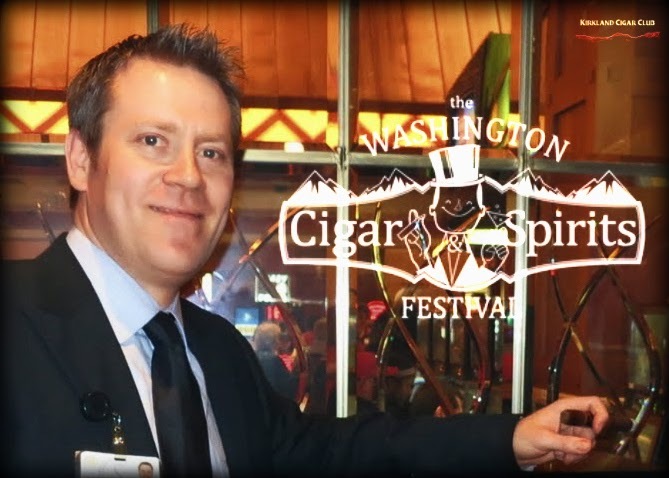 We hope you'll join us again next year for the Washington Ciger & Spirits Festival! Please join us this Thursday in Lit as we watch the Seahawks take on the 49ers. The game starts at 5:20 pm. 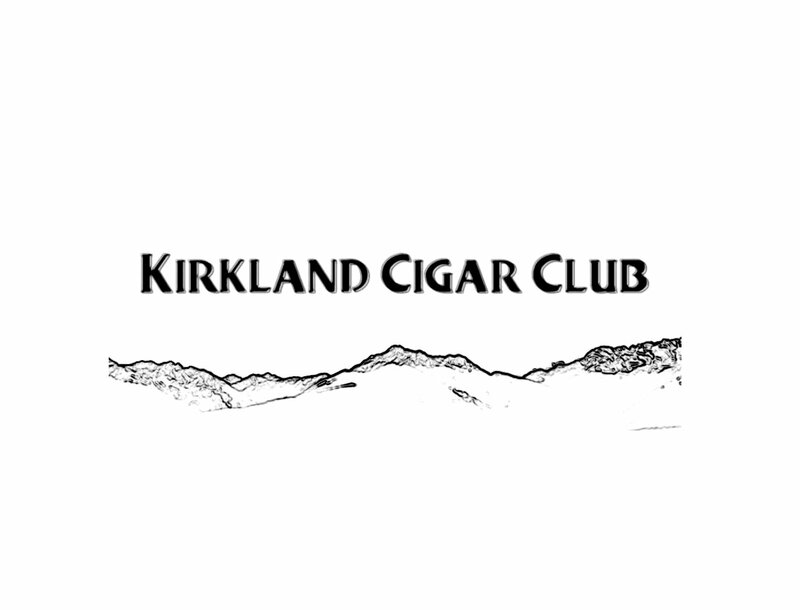 We'll have specials on Punch cigars along with Woodinville Whiskey. We'll be featuring their locally made Bourbon and Rye whiskeys, which are fantastic! We'll give away prizes as well, so we hope to see you there! WCSF - Bigger & Better! Definitely bigger and most certainly better than last year, and I might add that last year was phenomenally good. 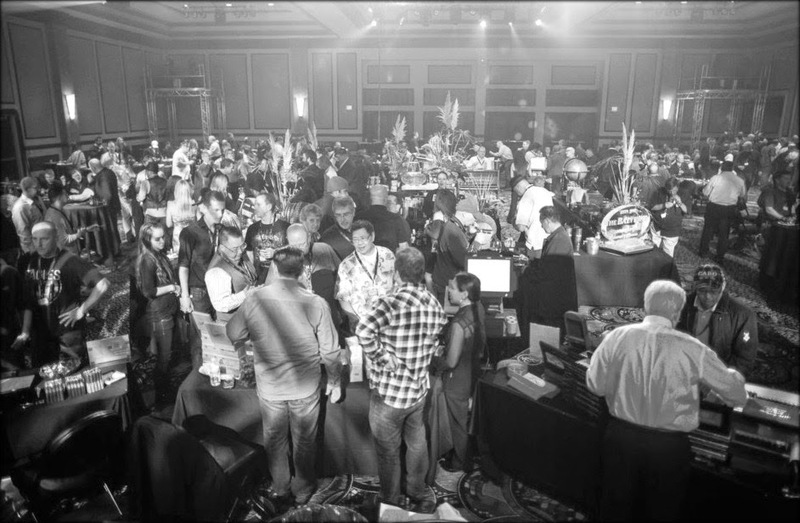 If for some reason you decided not to come this year, you probably missed out on the best cigar event of the year! I'm not kidding! It was fantastic! 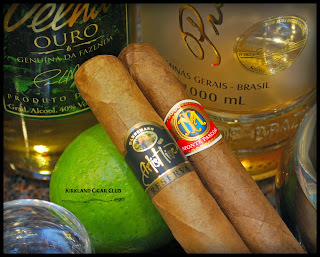 The cigars, the booze, the food, the prizes, plus some of the best deals on your favorite cigars. "WOW! It was amazing!" Believe me I'm already looking forward to next year! It was super nice seeing all my friends up there! I took a few photos of the event with my camera, but if you want to see some professional photos check out the Lit Lounge Facebook page. They're really good! Thanks Josh, for having the cojones to put this event together again for us - I can only imagine how much work and stress it was for you and your team. Job well done my friend! 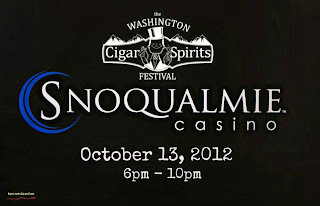 I hope this event continues year after year, and that it continues to be Washington's Premier cigar event! So after a fantastic evening like last night, how did I top it off? I went to the Vertigo Club in Seattle for more fun and cigars. Holy crap, what a night! 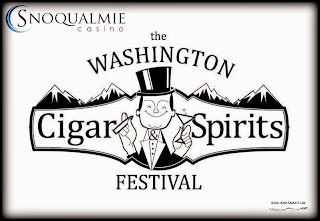 My wife and I were up at the Snoqualmie Casino on Saturday night, I had a chance to sit down with my friend Josh (Lit Cigar Lounge/Manager), and chat a little bit about the big event that's coming up this coming Saturday - the Washington Cigar & Spirits Festival. If you're a cigar smoker and haven't heard about this event, all I can say is: "when did you wake up from your coma?" I asked Josh if he was all set for the big event and what's new this year? Also, if you recall last year it was kinda goofy how they only had that one place in the middle to buy boxes of cigars, it made for some pretty long lines at times. Anyway, this year they'll have multiple locations, so it should be a breeze when you're ready to buy. Experience the best deals of the year on cigars and accessories, including a 20% box discount! Don't miss the opportunity to roll your own cigar with Master Roller Leo Peraza. 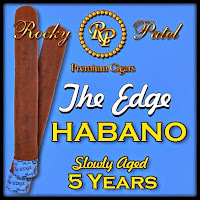 For this end of summer event we are featuring one of the hottest selling brands on the market; Rocky Patel. We are featuring ALL Rocky lines, and you can mix and match to your hearts content. 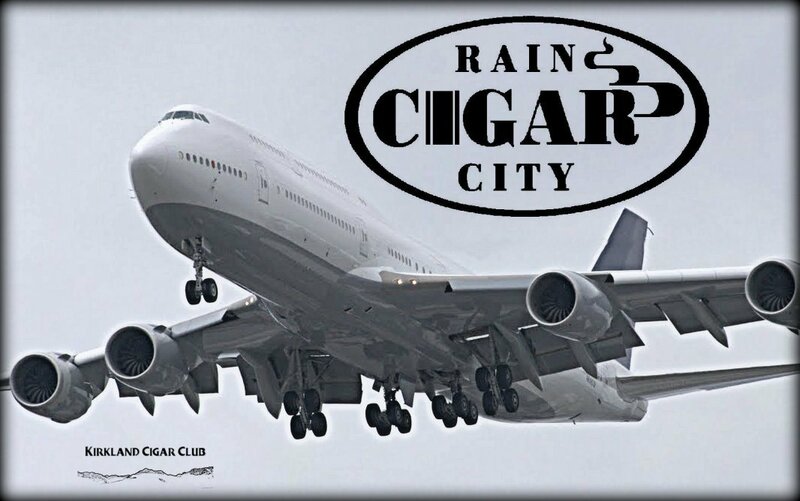 We will have the new 'Freedom' by Rocky Patel cigar in stock for this event. 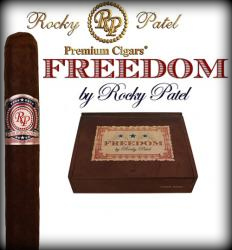 Says Rocky Patel of Freedom, "I have spent a great deal of time in Washington D.C. fighting alongside others in our industry's fight to preserve our rights to smoke cigars - this cigar is representative of that." 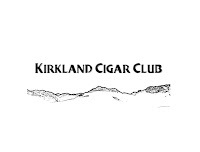 Rob Birsinger with Rocky Patel will be here with two great deals for you. Boxes can be full or any mixed box of 20 or more Rocky Patel cigars! Lit Newsletter 10/1/12 Only 12 Days til WCSF! 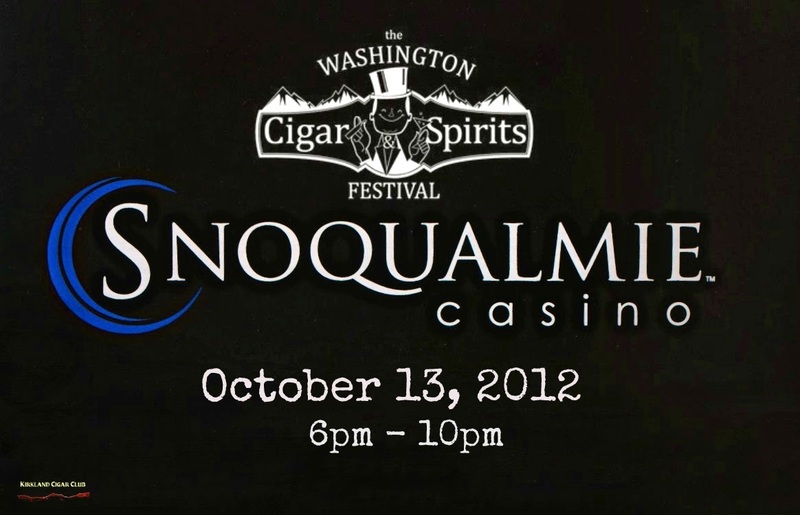 We're only 12 days away from the biggest cigar event in the Northwest - The Washington Cigar & Spirits Festival! If you haven't purchased your tickets yet, stop by the casino box office or Ticketmaster online and get yours now. Your choice of 3 different cigars from any of our 9 featured manufacturers. Your choice of 6 different spirits samples from any of our 10 participating vendors. Three beer samples, including exclusive releases just for our event from Black Raven and Georgetown breweries. 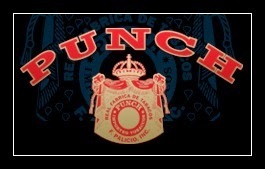 Meet our guests of honor, cigar maker Jesus Fuego, master roller Leo Peraza and Xikar president Kurt Van Keppel. Special event deals: gifts with purchase and a 20% box discount during the event! 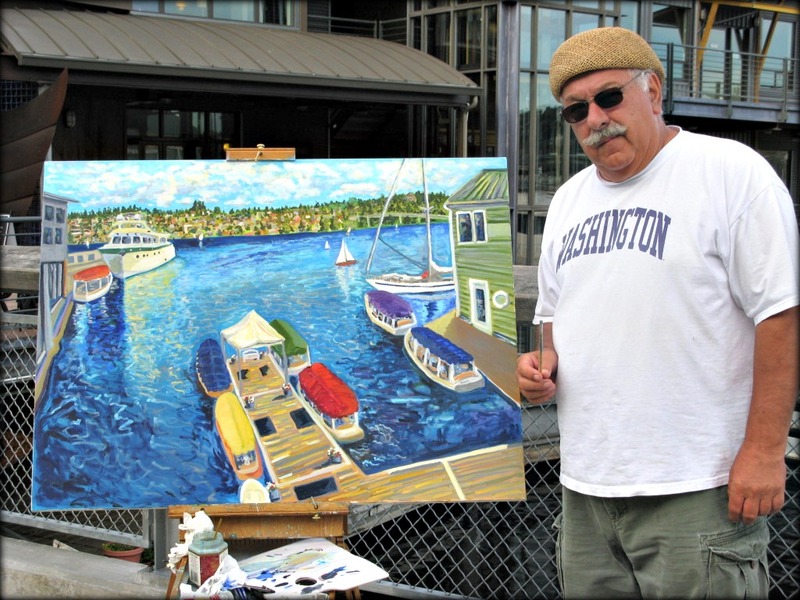 Incredible raffle prizes: A custom oil painting, museum edition humidors and much much more! Please forward this email to friends and help spread the word on this fantastic event. Tickets are now on sale via Ticketmaster and at the Casino Box Office. For more information on this event, click here to visit the WCSF page on the casino website with all of our vendors and details. Please note that the $99 special rate at the Issaquah Hilton has expired. However, rooms are still available and there will be shuttles to and from the event. Call 425-837-3600 for reservations. Anyway, we were down at the Tobacco Patch on Friday night for the Drew Estate event - pretty good turnout and of course the weather was perfect. I bought a few of the Liga Privada Undercrown sticks as well as a flavor infused cigar for my lovely bride. Met the Rep for Drew Estate too - nice guy! 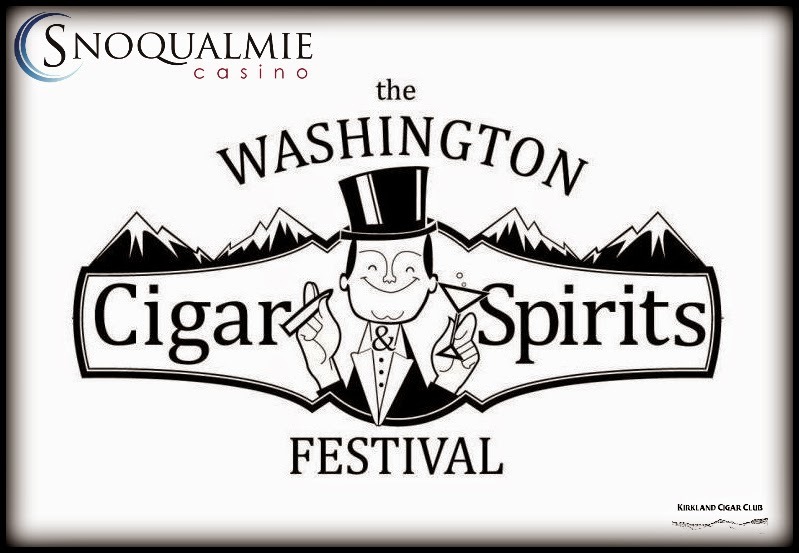 The Washington Cigar and Spirits Festival coming up on Saturday, the 13th. I'm sure you've heard me mention it a few times? Boy, if you haven't bought your tickets by now, you might be outta luck. Check the link to see if tickets are still available. I'll be there along with the rest of the Kirkland gang. Should be fun, fun, fun!!! Also a little further down the line, coming up November 3rd, The 10-7 Bond Night Event, which I'm really looking forward to! A black-tie Gala for the true 007 cigar smoking fanatic, like me! OK, so one real quick review of the Curivari El Gran Rey cigar. This was given to me by a good friend and I'm just now getting around to checking it out. Basically it's a full-bodied Nicaraguan cigar that I didn't really care for it when I first lit it up, but the next thing I knew I just couldn't put the sucker down. What's up with that? The exceptionally smooth full flavor, plus loads of rich smoke seemed to grow on me. Next thing I knew the white ash was burning my fingertips. Really a good cigar. Congrats to my friend Nathan for the new addition to the family! Job well done amigo!